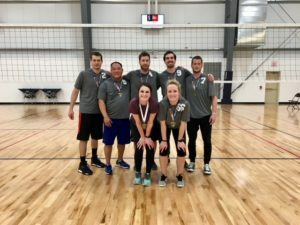 TVA is committed to providing Adult Volleyball players with opportunities to play volleyball at all competitive levels; open to just starting. We offer Leagues, Open Gym, and Tournaments. Check out what we offer to see what fits your schedule! Open Gyms: Open gym times will be posted on the Open Gym page. Times and courts may vary, so check the page each week to see what is available. Indoor Leagues: See the League page for all upcoming League information.